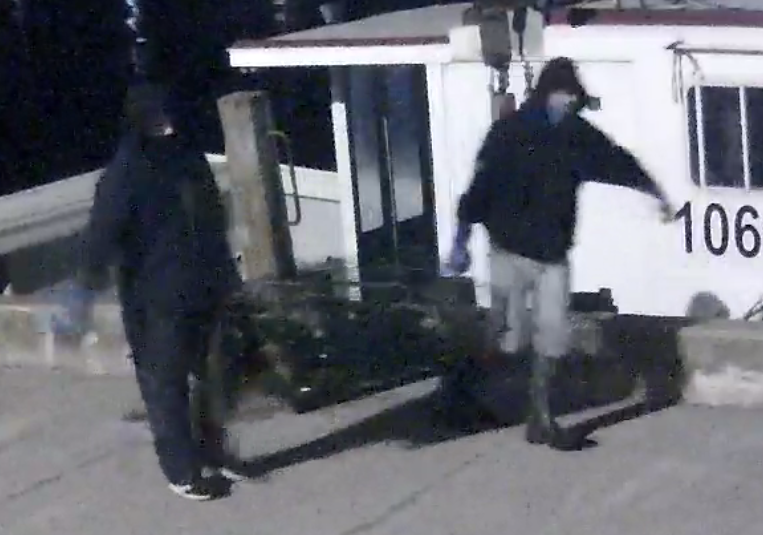 February 6, 2019, Lunenburg, Nova Scotia…Police are requesting help from the public to solve a break and enter and theft of lobster from a boat at a business on Bluenose Dr. in Lunenburg. 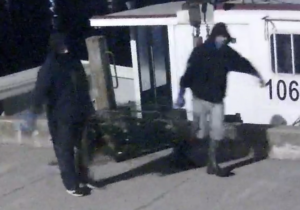 Sometime between 10 p.m. and 11 p.m. on January 26, two suspects entered a boat alongside the dock at the business and stole approximately 130 pounds of lobster worth $1,000. Security footage shows the suspects to be two white men, both approximately 5-foot-10. 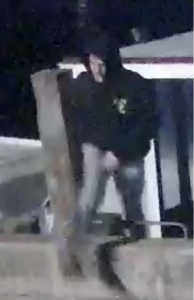 One suspect appears to be clean shaven and slender with short brown hair. 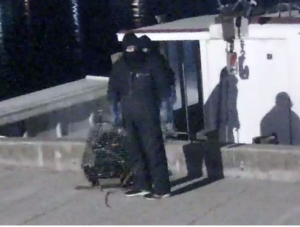 He was wearing a black hoodie, light grey pants and knee high black or dark green boots. The other suspect appears to have a medium to heavy build and was wearing a single piece navy blue coverall type of work suit. A dark blue or black 2-door Jeep Wrangler was seen in the area at the time of the theft.